Why Apps4Rent Dedicated Desktop Plans are best in the market? When it comes to managed solution for cloud-based desktop, Apps4Rent has emerged as a forerunner in the market. We have been providing cloud-hosted virtual technologies to more than 10000 customers across 50+ countries since the last 13 years that we have been in the business. Apps4Rent offers you dedicated desktop solutions at the lowest price in the market. Thanks to our 24×7 support team helmed by Microsoft Certified Professionals, we simplify the complex handling of your dedicated environment with us by taking care of the procurement, deployment, and management of it. If you are looking for a cost efficient solution, Apps4Rent is the right choice for you. All our solutions are fully managed with 24×7 support. What makes us stand out is you do not get the same solution priced lower than what we offer and yet better managed; from any vendor in the market. We do not have dependencies on 3rd party apps to let you access the desktop. 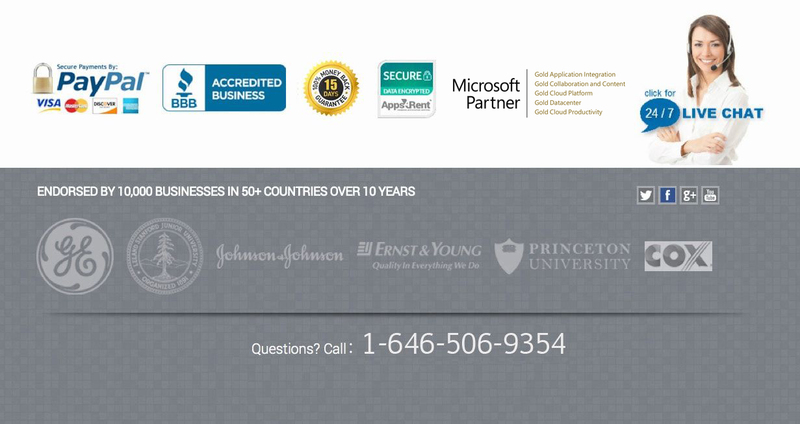 We provide 30-day risk free trial for all our managed solutions. This will help you evaluate our capabilities and experience our support assistance. We can be contacted through email, chat, and call.